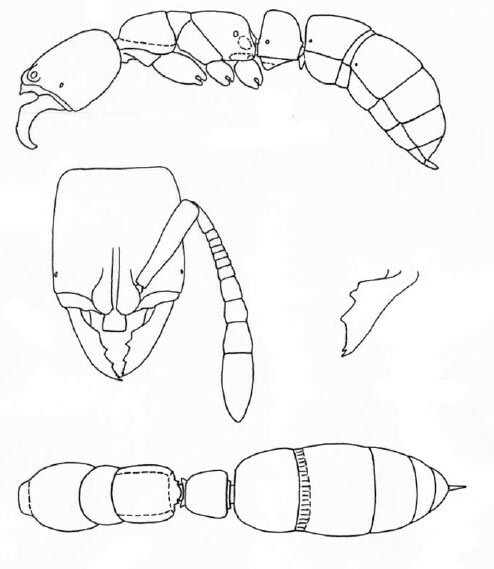 This species is close to M. nops Willey & Brown, but eyes present and each with 2 facets; apices of scapes failed to reach occipital corners; in profile view posterodorsal corner of petiolar node rounded, in dorsal view petiolar node about as broad as long. Xu ZH, Liu X. 2012. Three new species of the ant genus Myopias (Hymenoptera: Formicidae) from China with a key to the known Chinese species. Sociobiology. 58:819-834.